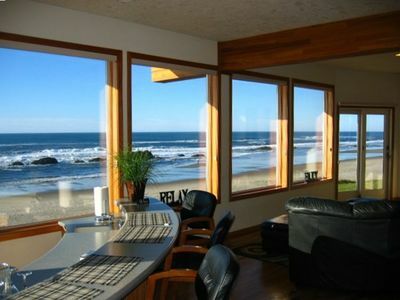 Looking for a romantic getaway to the central Oregon coast? 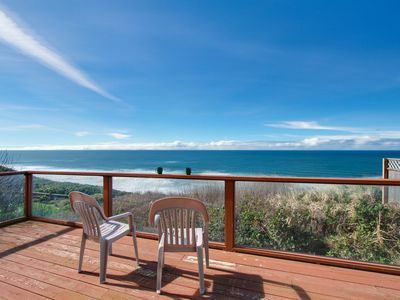 Look no further than at this 1-bed, 1.5-bath Gleneden Beach vacation rental. 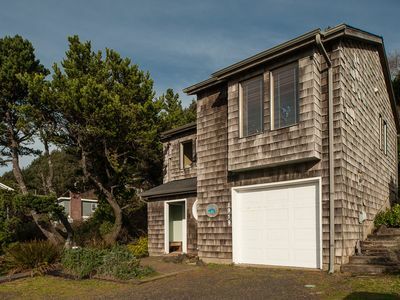 Perfect for 2, this cozy hideaway is situated across the street from the ocean and next to the spa and golf course at Salishan Resort. 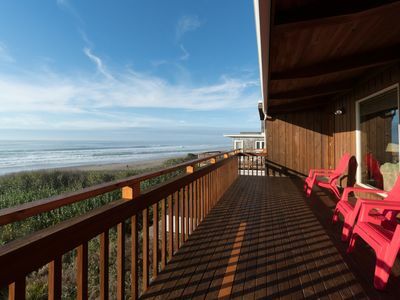 See Siletz Bay, visit Lincoln City and experience the incredible food and drink scene! 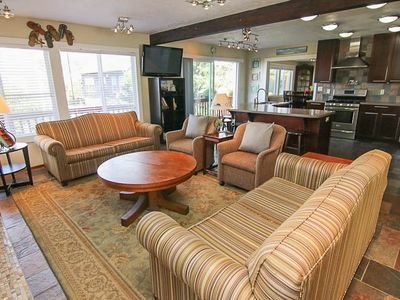 This property is the main level of the vacation rental house and offers 1,016 square feet of comfortable, well-appointed living space. 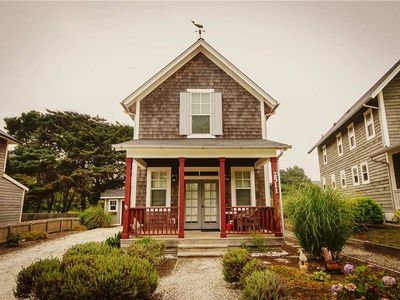 Whether you're traveling alone or with a partner you're sure to feel right at home at this gem on the coast. 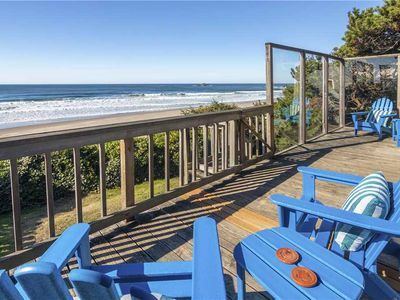 Look forward to relaxing on the deck while listening to the waves crash against the shore. 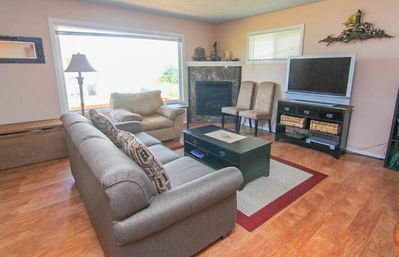 Back inside, a lovely living room features plenty of comfortable seating set in front of a gas fireplace and flat-screen Smart TV - perfect for a quiet night spent in! Pick up a bottle of local wine and stock up on fresh ingredients from the farmer's market for a dinner date at home. 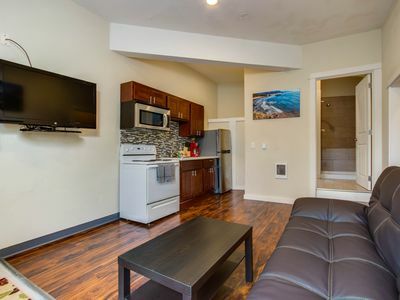 The kitchen comes fully equipped so you can whip up fresh fare with ease, and the kitchenette makes grabbing coffee and hot breakfast on the go a breeze. 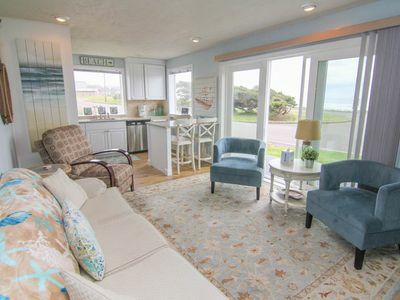 The full bathroom hosts a walk-in shower with his-and-her sinks just steps away from the bedroom. A plush king bed in the master bedroom invites you to sink beneath the comforter and fall asleep to a DVD on the flat-screen TV. 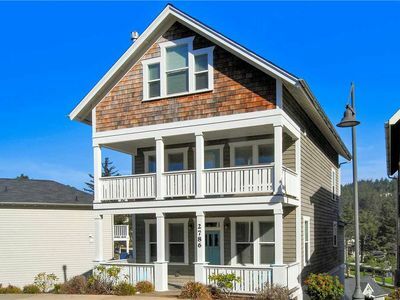 You'll have all the comforts of home in an unbeatable location just minutes away from all the best of Oregon's central coast. 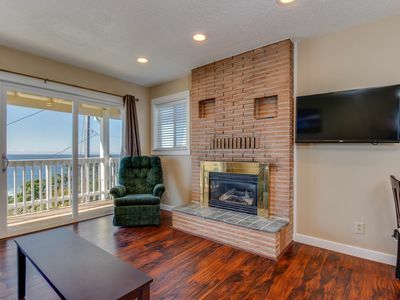 You could spend your entire vacation enjoying the Salishan Spa and Golf Resort located just 1 mile away. Treat yourself to a day of complete luxury and book a spa day followed by dinner at The Dining Room. If golf is your passion, the premier golf course at Salishan is sure to be your paradise! Foodies, wine drinkers and beer tasters will be in heaven with fresh seafood, breweries and wineries available all around. 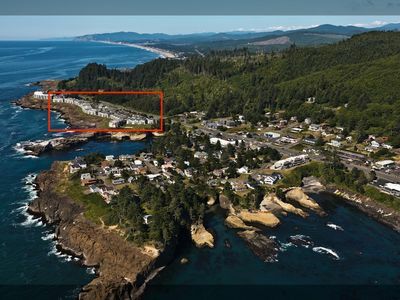 Just down the street is both Depoe Bay Winery and Flying Dutchman Winery, or you can take a short drive inland where you'll find more than a dozen wineries! 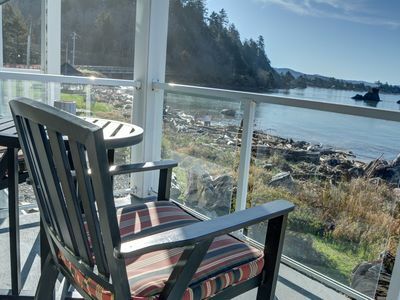 Sit down for locally sourced dishes at Side Door Cafe and Eden Hall, or enjoy a cold craft beer at The Horn Public House and Brewery. 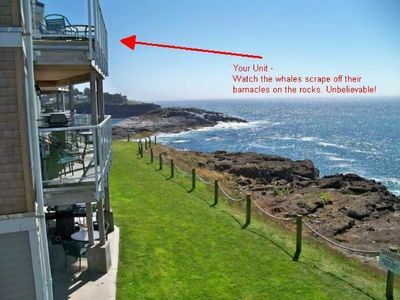 Embrace the coastline's stunning landscape within minutes of the home. 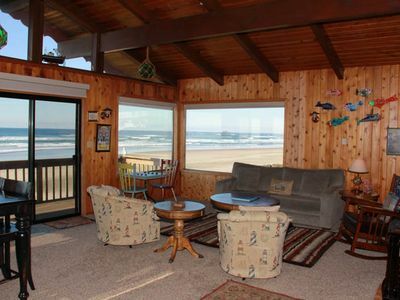 Watch for seals at Gleneden Beach State Recreation Site, spend the day seeing sites on the Oregon Coast Scenic Railroad or go clamming in Siletz Bay. 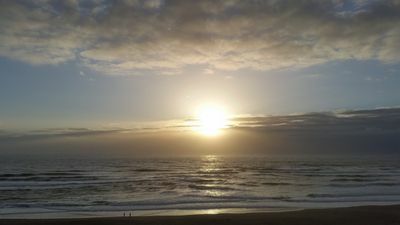 Keep a look out for seasonal events including the spectacular 4th of July firework display in Lincoln City. 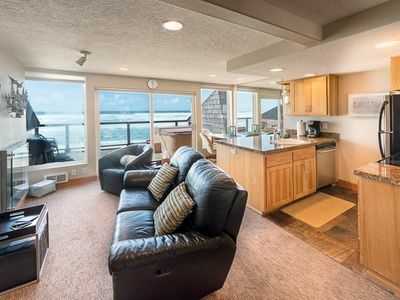 Dog-friendly condo with ocean view and beach access perfect for family fun! 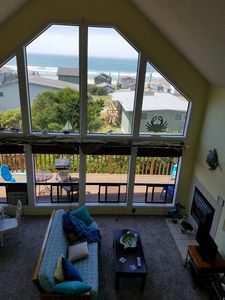 Dog-friendly cozy coastal condo just moments from the beach! 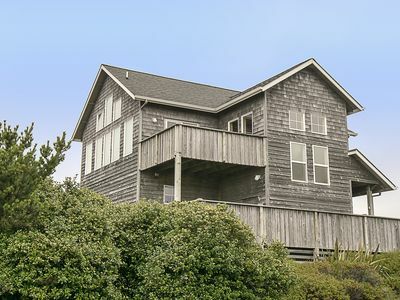 Cozy Beach Beauty is Steps from Roads End State Park! 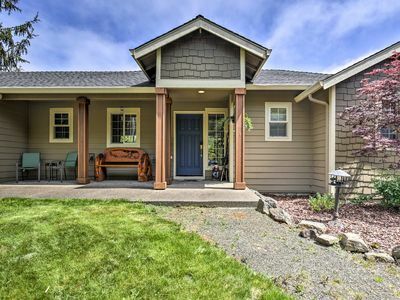 Luxury Home with Game Room, Hot Tub and Easy Access to Roads End State Park!